Craftin' Caro: Spring Palooza stamps and paper! Spring Palooza stamps and paper! It's May 1, and with the Summer Mini Catalogue release I'm now allowed to share the pictures of this Spring Stampin'Palooza stamp set and paper colours! 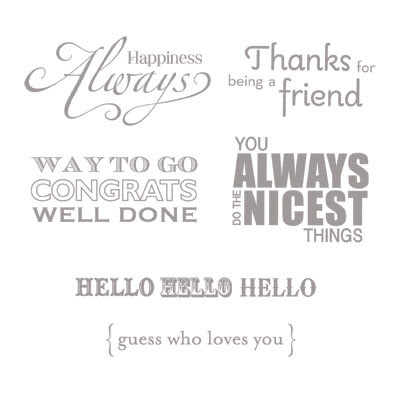 What do you think of this new stamp set shown above, "Happy Greetings"? We chose this six-piece sentiment stamp set for our Spring Palooza event because it will help you create stacks of ready-to-use cards, notes, and gift tags for spur-of-the-moment giving. 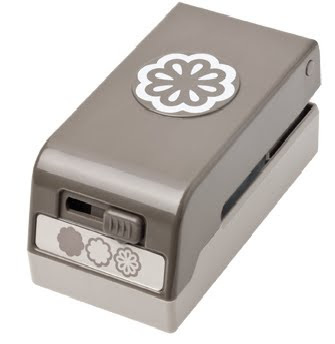 We think it will be a versatile addition to your stamp stash! As you can see here, we have a great summer-y colour palatte to work with. These colours (Tangerine Tango, Melon Mambo, Daffodil Delight, Pacific Point and Wild Wasabi) are all taken from the new "Beyond the Garden" Designer series papers. And here it is...the new "Beyond The Garden" Designer Series Paper that our 10 projects will be themed around. This richly coloured, breathtakingly beautiful paper truly captures the spirit of summer. 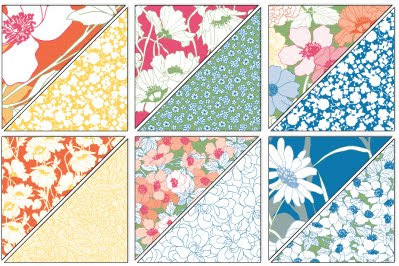 These graphic, floral images are pretty enough for framing -- or for transforming them into beautiful cards and other paper crafting fun! Several of our stamping projects at Palooza will also feature the new Blossom Bouquet Triple Layer Punch. You can create three coordinated punch images with just one punch! Images look beautiful layered together or separately -- giving you more creative options! Simply move the easy-to-use front lever to the image you'd like, then punch. The cleverly designed three-images-in-one punch body also saves on storage space. Let's see...what else can I show you? 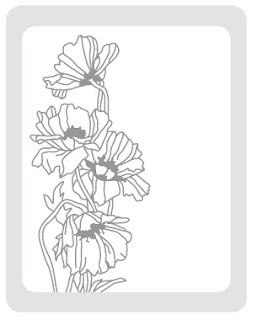 Another new product we'll be working with is the gorgeous Floral Garden Textured Impressions Embossing Folder. This folder lets you create instant floral masterpieces all year round and I think you'll love what we'll be making with it. The deep embossed look adds interest, dimension, and texture on single layers of card stock and Designer Series Paper. Folder coordinates with the Beyond the Garden suite and measures 4-1/2" x 5-3/4". Woohoo!!! Je viens de recevoir un petit message de Stampin'Up! m'informant que nous allons partager la même table au souper lors de la croisière. J'ai hâte! Ça fait longtemps qu'on ne s'est pas parlé!